Agoba AM, Abor J, Osei KA, & Sa-Aadu J (2019). “Do independent central banks exhibit varied bahaviour in election and non-election years: the case of fiscal policy in Africa”. J Afr Business, DOI: https://doi.org/10.1080/15228916.2019.1584263. Asongu SA, (2013), Fighting African capital flight: timelines for the adoption of common policies’, The Empirical Economics Letters, http://www.eel.my100megs.com/volume-12-number-10.htm (Accessed: 09/08/2015). Asongu SA, & Odhiambo NM, (2019). “Economic development thresholds for a green economy in Sub-Saharan Africa”, Energy Explor Exploitation. DOI: https://doi.org/10.1177/0144598719835591. Boyce JK, & Ndikumana L (2012a). “Capital Flight from Sub-Saharan African Countries: Updated Estimate, 1970-2010’, Political Economy Research Institute, University of Massachusetts. http://www.peri.umass.edu/fileadmin/pdf/ADP/SSAfrica_capitalflight_Oct23_2012.pdf. (Accessed: 09/08/2015). Boyce JK, & Ndikumana L (2012b). “Rich presidents of poor nations: capital flight from resource-rich countries in Africa’, Political Economy Research Institute University of Massachusetts. http://concernedafricascholars.org/wp-content/uploads/2012/11/caploss01-ndiku-14th.pdf (Accessed: 09/08/2015). Donnelly L, (2015). “Illicit financial flows costing Africa billions”, Mail&Guardian, http://mg.co.za/article/2015-05-25-illicit-financial-flows-costing-africa-billions/ (Accessed: 04/10/2015). Osabuohien, E., Efobi, U., Odebiyi, J, Fayomi, F. & Salami, A. (2019). 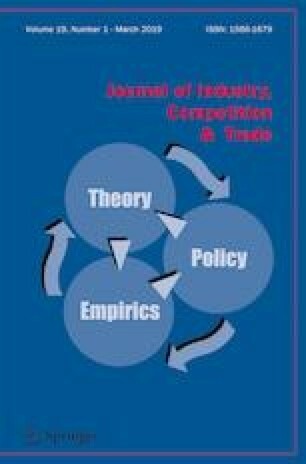 “Bilateral trade performance in West Africa: a gravity model estimation”. Afr Dev Rev, DOI: https://doi.org/10.1111/1467-8268.12359. Tchamyou, V. S., (2019a). “Education, lifelong learning, inequality and financial access: evidence from African countries”.Contemporary Social Science. DOI: https://doi.org/10.1080/21582041.2018.1433314. Tchamyou VS, (2019b).“The role of information sharing in modulating the effect of financial access on inequality”. J Afr Bus. DOI: https://doi.org/10.1080/15228916.2019.1584262.